Olivia completed her championship at NACA, her second weekend of showing! Janine earned her CGN on March 17, 2019. 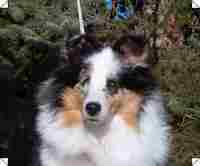 Thank you, owner Lorna Moon, for allowing me to play with Tribbles in rally and obedience! Autumn 2017 - RN, RA, and CD! Congratulations, Dona and Desiree, on your new Rally Advanced title! Desiree & Dona earn the AADC title! 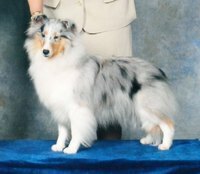 Congratulations to Dona Gould on earning Desiree's CD in style with 2 High in Class and 2 High in Booster (WASSA & CSSA Regional) in 2014. Then in 2016 on to two Agility titles - we are so proud of the two of you! And later in 2016 - new RN! Ditto finished at Grande Prairie, beautifully handled by Bev Klassen. Dusty - beauty and brains - earned all three performance titles within six weeks. Way to go, buddy! Bailey finished her championship at Lakeland. 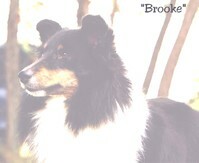 She is co-owned and co-bred with Brenda Muddle (Mudels). Sparkle finished at Grande Prairie with another BW! 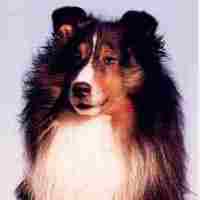 Morgan is co-owned and co-bred with Pam Cazes (Kimicko Perm. Reg'd.). She earned her CD with 2 HIC wins, and earned her first 2 Rally qualifiers with perfect scores. She adds the CGN title in 2011. Dam of 1 champion. Congratulations to Lorna Moon and Neala on also earning the RN, with a class placing! Neala earned her CGN on June 14, 2012! Elliot, my "pupsicle", my buddy. Sire of 2 champions, and 1 RN/RNCL. 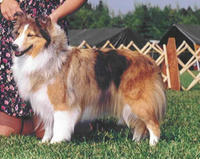 Lacey is co-owned and co-bred with Brenda Muddle (Mudels Shelties). 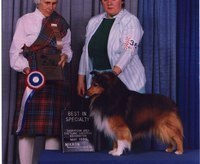 Congratulations to Dona Gould and Bridgit on your agility and obedience titles! Maybe earned a Group 3 on her way to her title. Owned by Debbie & Dave Starkey. 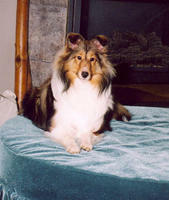 Radar is co-owned with and loved by Diane Wilson. Owned and loved by Wendy Cabral. Lucy is owned and loved by Rhea and Donna Grason. She is the dam of an RN/RNCL. Livvy was owned and loved by Jody Arkinstall. 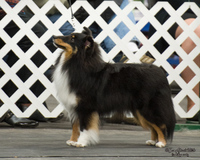 Nomad is owned, trained, and shown by Jill Werle. Kendra earned a Group 3 the day after she finished her championship. 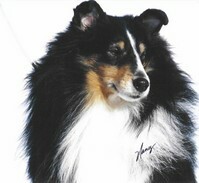 Kendra retired to life as a therapy dog, owned and much loved by Davida Marantz. 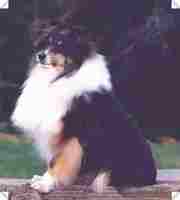 Fancy was owned by Brenda Muddle. Dam of 3 champions. Brooke is enjoying retirement with Marion MacGillivray. She is the dam of one champion. 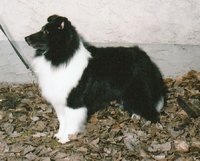 Lindsay was bred by Brenda Muddle. 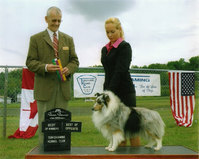 Dam of 3 champions (1 also an Am.Ch.). Flash, aka "Dennis The Menace". 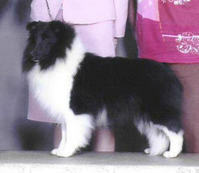 Sire of 3 champions (including 1 with a CD and 1 with a CD/RN/CGN), and 1 SGDC/CD. 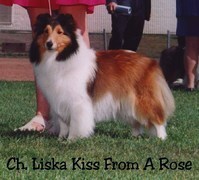 Bridie contributed so much to Liska through her 7 champion offspring. Cookie was co-owned with Irene Dube. 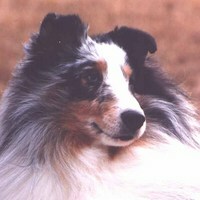 Bailey was owned and loved by Barb McKee. Sire of 1 champion. Flyer was owned by Wendy McNaughton. He sired one champion/group placer. Token was a wonderful boy, loved people and even loved visits to his veterinarian! He is sadly missed here at Liska. Sire of 1 champion, 1 OT Champion, and 1 CD. 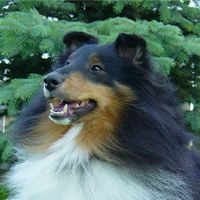 Sapphire finished at the Working-Herding Dog Association of Alberta specialty. Magic was owned by Neil Gregory. Tracy was owned by Mrs. A. E. Slaughter. 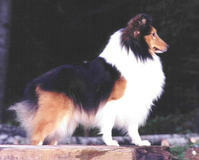 Crickett was bred by Karen Pipke. Dam of 2 champions and 1 CD. 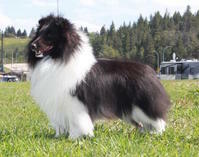 Shown by his breeder, owned and loved by Toni Williamson and family. 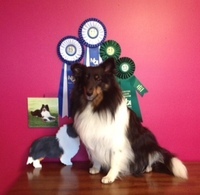 TJ was a specialty winner and multiple group winner and multiple group placer. Sire of 6 champions. 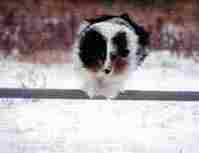 Murphy was a very special boy, my soul mate, what dog people today would call my "heart dog". Sire of 3 champions. Bred by Mrs. A. E. Slaughter (Meridian Perm. Reg'd. 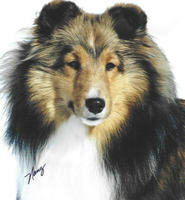 ), Davina was Liska's foundation, and the dam of 7 champions. Venture earned another High in Trial from the Open class the following year. He was co-owned with Mona Rechner.